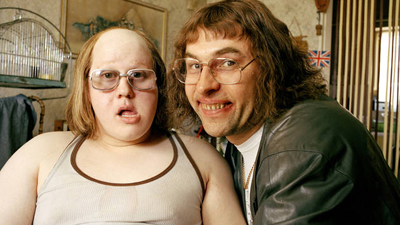 We need a Little Britain in Toronto! Or do we? As Gerard brought me my morning gin and tonic and I sat on the patio, watching the hounds chase the housekeeper, I mused to myself: Why is there no Little Britain in Toronto? I’m not ruminating on this Little Britain, or even a Wee England — I mean an area in Toronto full of British pubs, good steak and kidney pie and the chance to have a good old chinwag with other Brits? There’s a Little India … a Little Italy … a Little Portugal … and China even has its own bloody town! The Greeks too! Why not the Brits? I rubbed my chin thoughtfully, cleaned off my monocle slightly and gazed into the distance. Research had to be done. Nice to know that “sometimes they were friends,” but sounds like the implication is we took it over and pissed them off. The Brit integration had begun. So, in effect, there really isn’t a need for a Little Britain … we’re all over the place. Kind of like The Borg, but being assimilated into certain aspects of British culture and history instead of a massive black robotic cube thing floating through space. We don’t need to claim part of Toronto as “British” — there’s a load of us scattered throughout the whole city. Just seems a bit fragmented at times, but what can ya do? This entry was posted in Uncategorized and tagged brits in toronto, little britain, little india, little italy, little portugal on September 19, 2013 by britsintoronto.